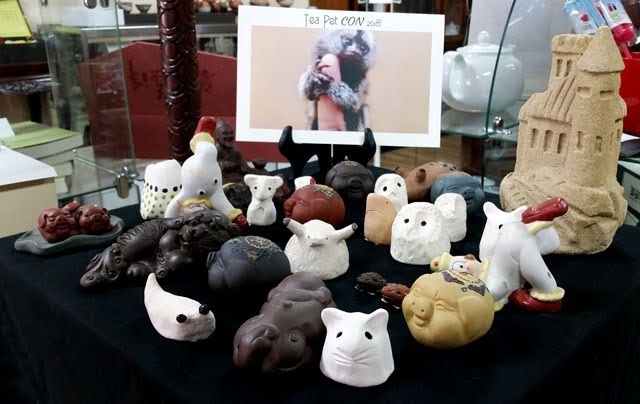 On June 23rd, Phoenix Tea hosted their first annual Tea Pet Con, an event for tea lovers and their tea table companions. Though there was a schedule for events, attendance was drop-in-friendly. Attendees were provided with a flyer describing the "purpose" of tea pets and how to care for them. In addition to candid photo opportunities throughout the shop, fun tea pet photo booths had also been set up. Attendees were encouraged to tag photos of the event (#TeaPetCon) and their tea pets (#TeaPetOfTheYear) on social media with the chance to win a prize for the most liked tea pet. 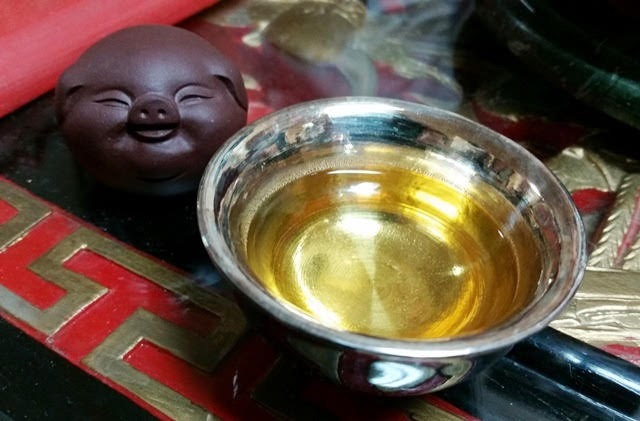 Some attendees adopted their first tea pets at the event while others added a new tea pet to their growing (stable? herd? family?) collection. And yes, there was also a Tea Pet-ting Zoo (not pictured) to fill the Pun Void™. 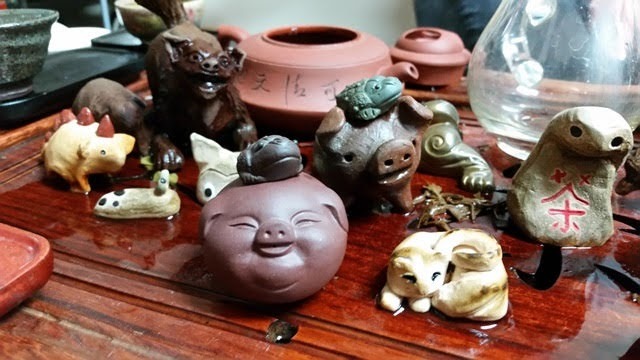 Part of the festivities included a naming ceremony where new tea pets would receive their new name along with their first tea bath. Almost every tea pet, new or old, also shared in a communal soaking on the tea table. Meanwhile, attendees soaked up a wide variety of fascinating and delicious teas in a slightly less messy fashion. 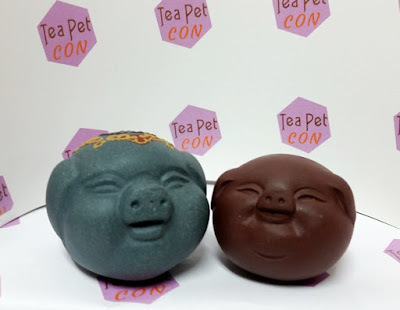 Tea Pet Con 2018 was silly, fun, and a smashing success! 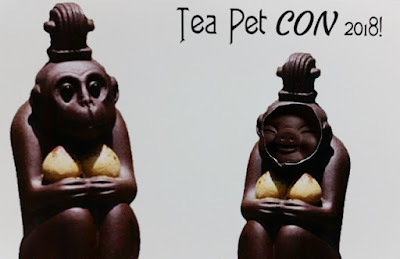 I'm looking forward to Tea Pet Con 2019!